With direct vehicle shipping services to Anchorage and Fairbanks – we can safely ship your car to Alaska at the guaranteed lowest rates! There are two options available when shipping a vehicle to Alaska, port-to-port service and door-to-port service. 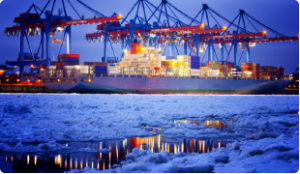 With port to port service, your vehicle will be transported from the port in Seattle, WA to your port of choice in Alaska. With door to port service, your vehicle will be picked up anywhere nationwide directly from your residence or business and delivered to your port of choice in Alaska. • Call (844) 228-9510 —24 hours a day! No Answer, we call back in 30 minutes or less so leave a message! • Fill out the form and submit it for your instant quote.